I was delighted to learn that JP of Beneath the Tangles and Japesland was convinced by one of my articles to give Shingeki no Bahamut another look. As I have another article on this show up my sleeve, I might as well give him and my other dear readers some more ideas to chew on from this Christian fairy tale. At least, it has convinced me that it is such, but my readers may easily disagree. After all, the Christian symbolism feels overwhelmed by pagan dualism and mythology. However, we have the example of Till We Have Faces by C. S. Lewis that Christian truths can be reaped from a pagan world. 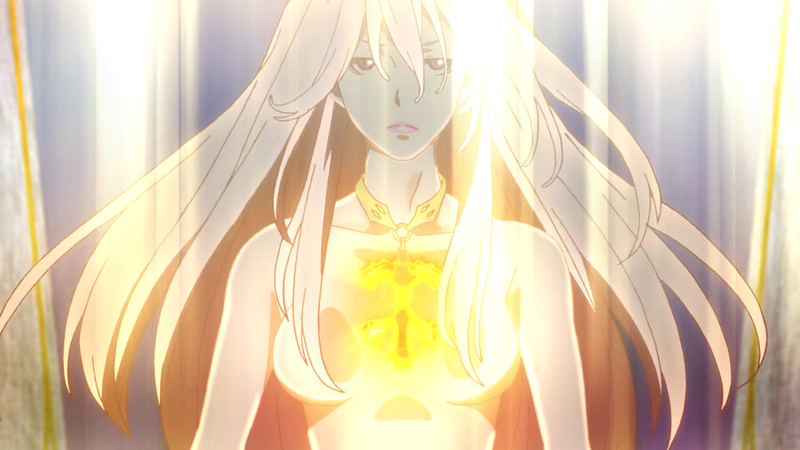 I have already mentioned how Shingeki no Bahamut tells the truth about demons and temptation. The present article will discuss how the show points to human love having a divine origin–not only the love of man for God, but each kind of love C. S. Lewis ponders in his book The Four Loves: Affection, Friendship, Eros, and Agape. An interesting thing about Christian theology is its emphasis on relationship, which has its foundation in God: “…God is love” (1 John 4:8). The two things which characterize God’s relationship to his people are loving-kindness and faithfulness. One becomes sanctified by maintaining a relationship with God, i.e. remaining in a state of grace, which enables one more and more to love as God does. The Trinity itself can only be explained through relationship. After all, everything the Father is, the Son is; everything the Son is, the Holy Ghost is; and everything the Holy Ghost is, the Father is. The Father is God, the Son is God, and the Holy Ghost is God. Not three Gods but one and the same God. But the Father is begotten of none and does not proceed, the Son is begotten of the Father, and the Holy Spirit proceeds from the Father and the Son, which Himself is the infinite Love of the Father for the Son and the Son for the Father. In a similar way that love is at the core of the mystery of the Trinity, our relationships and loves are how people define us. People develop certain expectations of us from the company we keep, our parents, our beloved, and our relationship to God–in other words, our four loves. Shingeki no Bahamut stresses its focus on the four loves through the four significant relationships of the show: Amira and her mother (affection), Favaro and Kaisar (friendship), Amira and Favaro (eros), and Jeanne and St. Michael (agape). 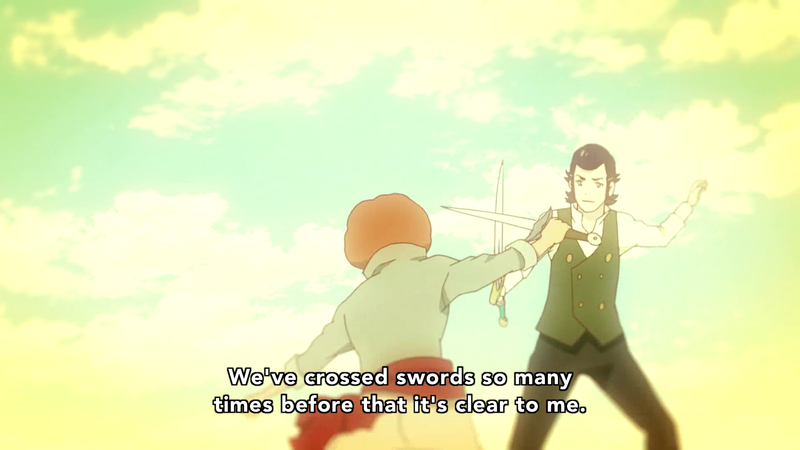 (Of course, few of the hallmarks of romance are apparent in Amira and Favaro’s relationship; but, most would agree that more would have followed had Amira been able to live beyond their parting kiss.) Each one of these relationships is maintained despite the many factors threatening their dissolution. The immutability of these bonds imbue each with a divine aspect. 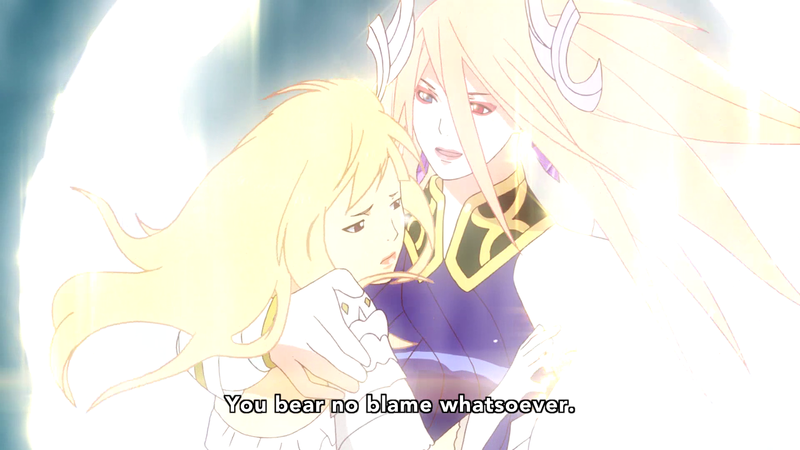 Death cannot sunder the bonds of Amira and her mother, Amira and Favaro, nor those of Jeanne and St. Michael. 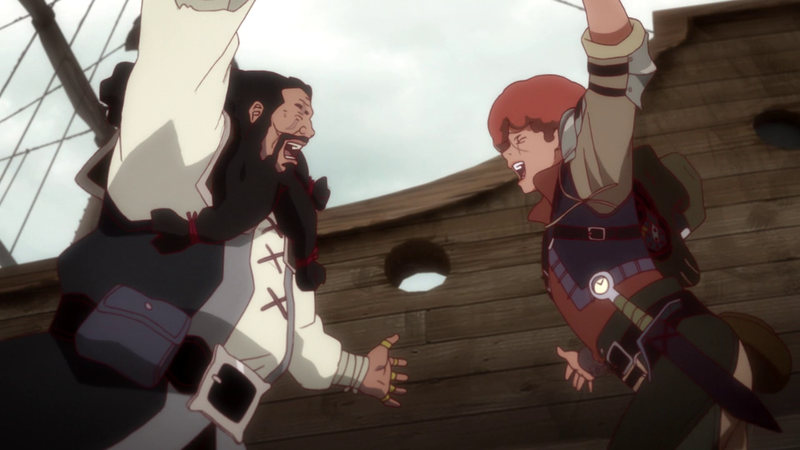 St. Jerome commented once, “A friendship which can end has never been real.” And the betrayals threatening to break Favaro and Kaisar’s friendship are resolved by the end of the show, and we can look forward to more of their antics should a sequel be indeed forthcoming. Love transcends death, which shows love as one of the qualities which demonstrate man’s divine image and likeness. The divine cannot die. Which brings up a flaw in this show’s mythology: its St. Michael, who is called a god, does in fact die. How can the divine die? The fact that he dies and that there is an afterlife in which he says that he shall still love Jeanne seems to show that the series acknowledges a God greater than the gods! Of course, central to Christianity is the story of a dying God, Our Lord Jesus Christ, but only his human body died on Good Friday, which his divinity could raise up again on Easter. It is impossible for the divine, pure Being, to die. 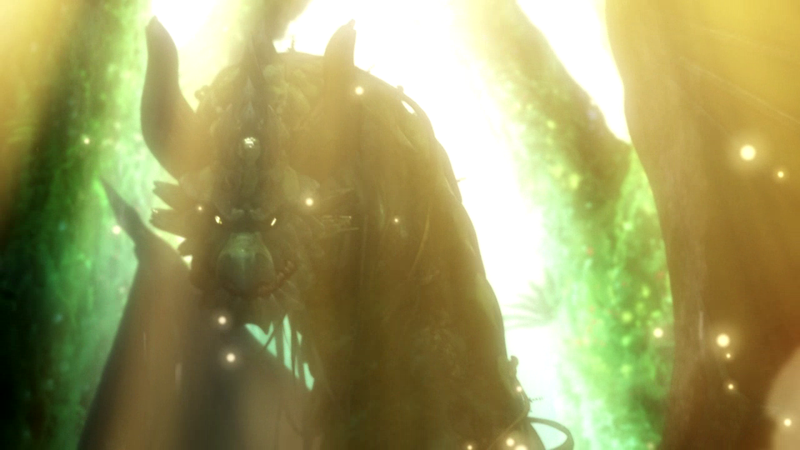 So, does the mythology of Shingeki no Bahamut in fact recognize a “God of gods”? That’s a question for another time. 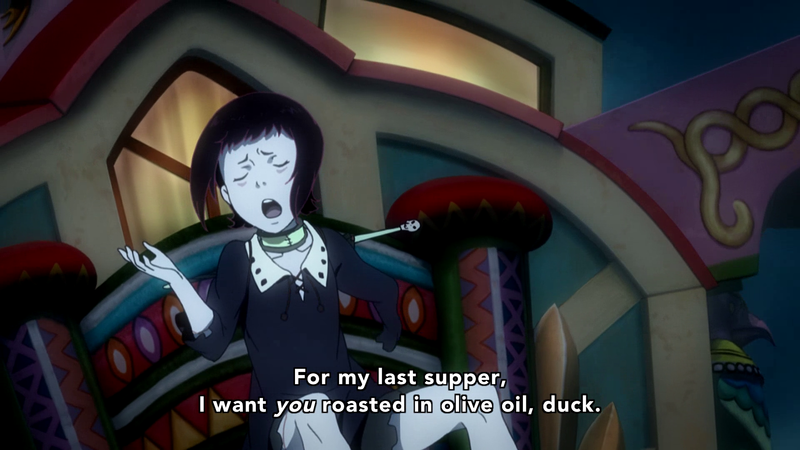 Rita, one of the most lovable characters of the past season. At any rate, this is a most cursory look at the topic. If only Lewis’s The Four Loves had been more foremost in my mind, I might have been able to make more of it! But, I hope that this idea adds more pleasure to your enjoyment of a truly fine series.